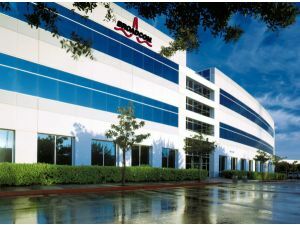 Irvine-based connectivity chip giant Broadcom Corp. is laying off 1,150 people globally. Most of the cuts are related to the wireless business Broadcom purchased from Japanese chip maker Renesas Electronics Corp., but they also reflect a global restructuring. According to a filing with the state Employment Development Dept., 84 of the layoffs are in Irvine. The layoffs were announced as part of the company’s quarterly earnings report Tuesday. Employees were notified Oct. 21, an SEC filing said. That included 775 employees let go in connection with the purchase of next-generation 4G LTE wireless technology from Renesas, which was announced in September. Of those, 350 were from Renesas and 425 were from Broadcom. An additional 375 employees are being terminated as part of the restructuring. Broadcom said it had a total head count of 12,050 last quarter, not including the 1,150 people notified of layoffs or the new employees brought in through Renesas. Most of the new workers are in Finland, Great Britain, Denmark and India. CEO Scott McGregor indicated on a conference call with investors that 1,200 people total were initially brought over through the purchase. “The net effect of the acquisition, the various country specific notice periods and separation processes means we will not have a meaningful updated net headcount until Q4,” Broadcom spokeswoman Karen Kahn said in an e-mail. Third-quarter net income rose 44 percent, to $316 million, or 55 cents a share, from $220 million, or 38 cents, a year earlier, Broadcom said. Sales were little changed at $2.15 billion. Excluding certain items, profit was 76 cents a share. On that basis, analysts had predicted profit of 68 cents and sales of $2.13 billion. While Broadcom dominates the market for chips that provide short-distance wireless connections in devices such as Apple Inc.’s iPhone and iPad, its struggle to roll out new cellular capabilities has hurt its ability to grab more orders in smartphones. The lack of a chip that supports LTE, or long-term evolution technology may tempt customers to switch to rivals, said Alex Gauna, an analyst at JMP Securities in San Francisco. Broadcom shares slid as much as 6.7 percent, to $25.32 in extended trading following the announcement. At the close Tuesday, the price was down 18 percent for the year, vs. a 32 percent gain for the Philadelphia Semiconductor Index. This entry was posted in Work and tagged 4G, Beceem, BRCM, Broadcom, global restructuring, Irvine, layoff, LTE, Nokia, Renesas Mobile. Bookmark the permalink.